From over a hundred stations between them, Banff, Moray and Nairn now have just four. During the late nineteenth century fishing, agriculture, tourism and whisky fuelled the rapid development of the north-east's rail network. 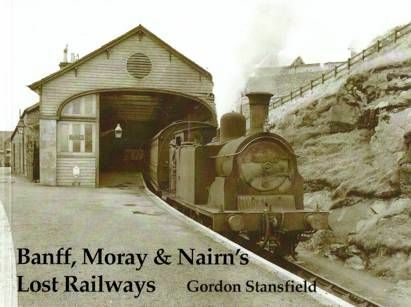 Gordon Stansfield's text is illustrated mainly with photographs taken in the 1950s and 60s - just before the major closures - along with some Edwardian postcards. Stations featured include Banff, Golf Club House Halt, Cornhill, Macduff, Cromdale, Dava, Ballindalloch, Knockando, Carron, Aberlour, Urquhart, Tillynaught, Rothes, Fochabers Town, Dunphail, Grantown on Spey, Mulben, Orton, Alves, Lossiemouth, Banff Bridge, Towiemore, Drummuir, Portsoy, Tochieneal, Cullen, Portknockie, Buckie, and Buckpool.